This is held the days before and the weekend of the First bank holiday in May each year. In 2016 the Open will be held from Friday 29th April to Wednesday 4th May 2016. Due to the numbers in some events these have been split based on age as at the closing date. FINDLAY for Beginner Girls age 8 and Under, ROSEBURN for Beginner Ladies age 12 and over, GYLEMUIR for Level 2 Ladies and FLORENCE for Level 4 Ladies. See the notice for the details. These and all the beginner events have been renumbered (see the notice). All Skaters should check their event and endure they are in the correct event based on age and standard as at the closing date of the 4th April 2016. If we are not notified of any changes prior to the draw it could result in you being unable to skate on the day. As per the rules there are no refunds now that the closing date has passed. Monday 2nd May Single & Pair skating including Beginners, Short and Long Programs. Wednesday 4th Solo & Couples Ice Dance including Beginners, Pattern, Short and Free Dance. NOTE. 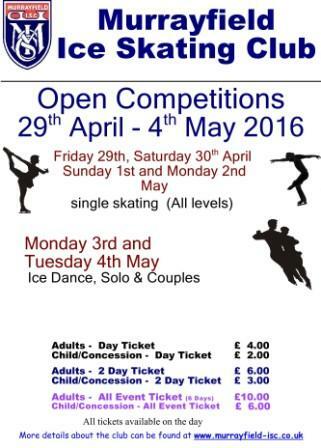 Some dance may be on the evening of Monday 2nd May 2016 depending on number of entries. Please do NOT send applications by a method that requires a signature. We cannot guarantee that there will be someone around to provide a signature. This includes tracker options as this method requires a signature. This will result in the entry being retained by the delivery company and it will require to be collected at a later date. If we are required to collect an entry there may be an administration fee of £15.00.This could delay the receipt of the application and could result in the application being. There is no facility for paying electronically All applications must be posted. If you include an e-mail address on the application form the application will be acknowledged after it has been, received and we have had time to process it. Apart from the already specified days above we will not be able to advise which events will be on which days until after the closing date. Sunday 15th May Closing Date for entries to the MISC UK Skate Competitions. Any one who won a Murrayfield open competition trophy from 2015 event should make arrangements to return this to the Club or Murrayfield Ice Rink by 29th March 2016. This is so that we can confirm that they are at the rink prior to the event this May, check them for damage and arrange for repairs as appropriate. 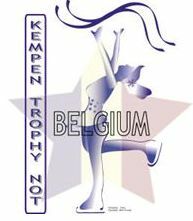 It is the winners responsibility to ensure trophies are returned safely. 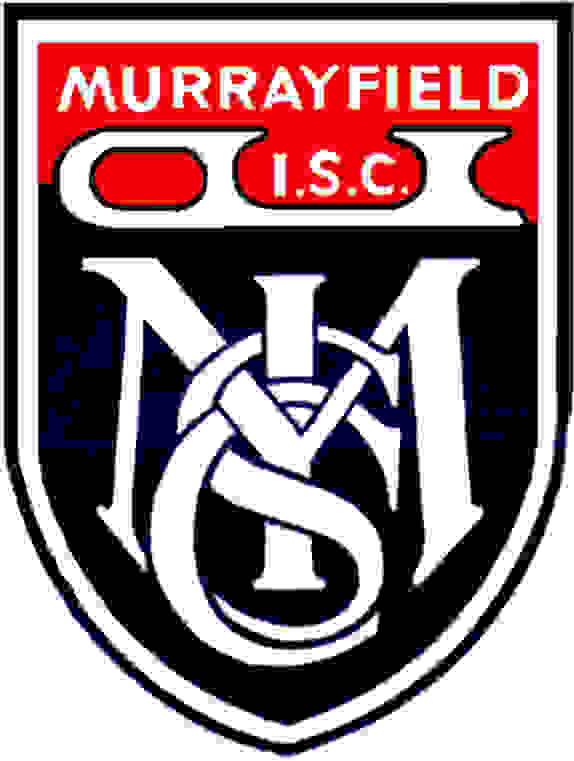 Can any one who has a Murrayfield Ice Skating Club trophy that was not won in 2014 please return it to the Club/Ice Rink.